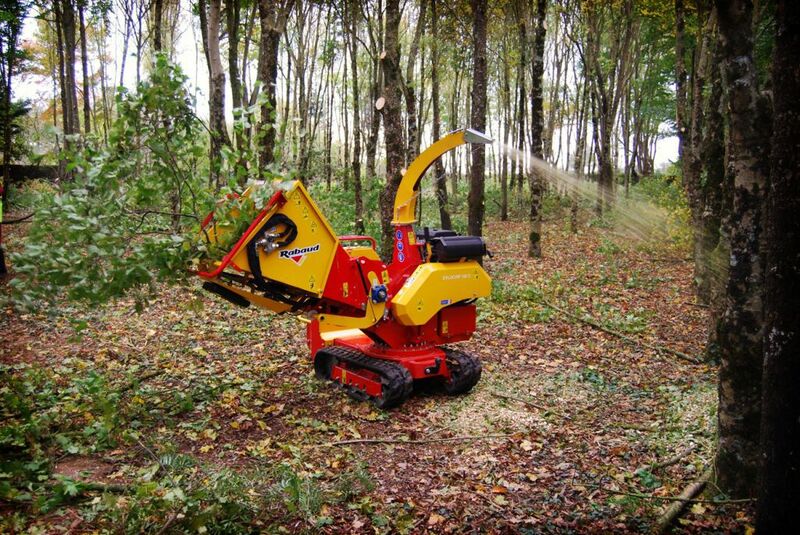 Chipper mounted on caterpillars: ideal for very irregular grounds, as well as cambers or slopes. Directional controls like on mini-excavators for a smart use. Double speed: slow with chipping or fast, without chpping. Controlled machine downhill thanks to the hydraulic management. 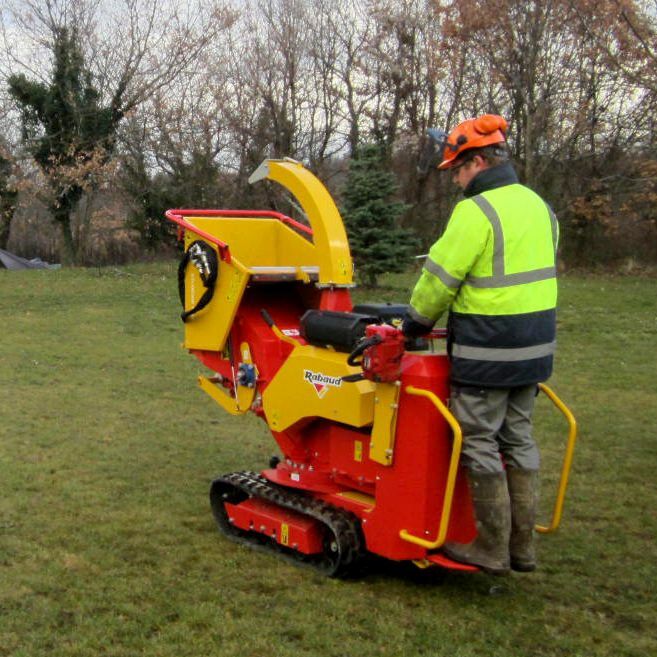 Compact machine: only 80 cm width - Removable hopper for transport. 180° rotating turret to make the machine work in all positions. Max. wood diameter: 100 mm. - 3 standard modes: 2 knives or 2 rows of hammers or knives + hammers. - 2 optional modes: 1 knife or 4 rows of hammers. 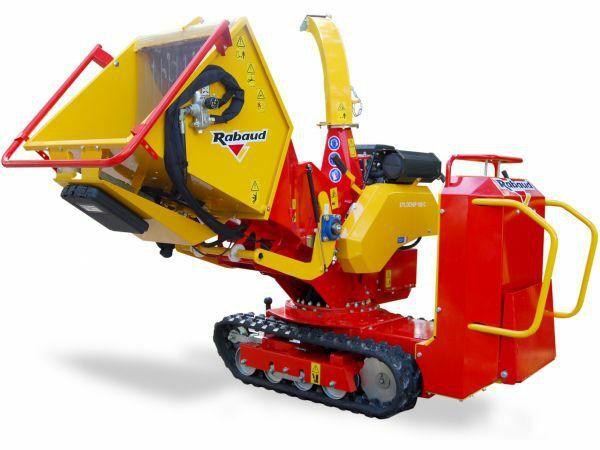 Adjustable speed of the feeding rollers for increasing or reducing the size of shavings, even cleft branches. Track dimension: 1.18 m x 0.18 m x 0.30 m (width: 18 cm). Options: NOSTRESS regulation, coupling ball and footboard.